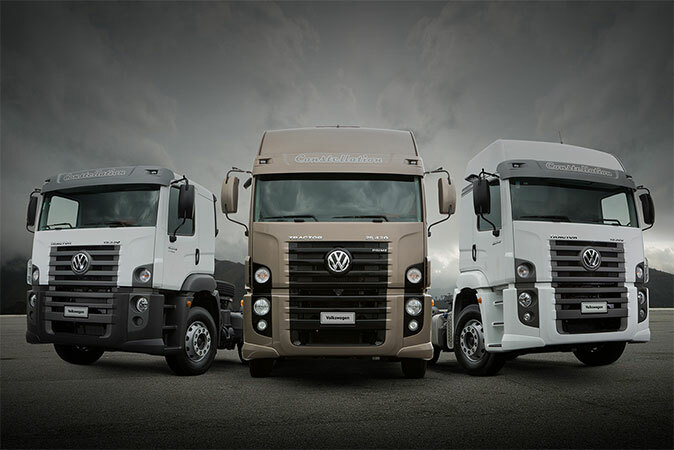 Part of TRATON Group and manufacturer of the commercial vehicles Volkswagen and MAN, VW Caminhões e Ônibus is one of the biggest truck and bus makers in Latin America. Since 1981, when it started it operations, the automaker’s focus has always been reaching the top of the market respecting and satisfying its customers' needs. And that is exactly what it offers its clients: custom-made products and an excellent post-sales service. Its production has already surpassed the milestone of 800 thousand vehicles, with over 100 thousand units exported to more than 30 countries. The company is also a reference in technological innovations. Since 2003, the automaker has been carrying out studies with renewable and alternative fuels, even before they became legal requirements. VW Caminhões e Ônibus is a pioneer in using biodiesel and developing a truck with diesel-hydraulic hybrid system in Brazil. The company always seeks solutions to reduce environmental impact and help preserving the environment. For over 35 years, the automaker has been living up to its commitment of developing vehicles that exceed customers’ demands – wherever they drive, be it Brazilian, Latin American or African roads. Volkswagen Caminhões e Ônibus has two manufacturing plants, which are decisive factors in the company’s success. The company’s main plant is located in the city of Resende in the State of Rio de Janeiro, Brazil. The other plant is located in the Mexican city of Querétaro. The company also exports trucks and buses in the form of semi knocked down (SKD) kits for assembly in Pinetown, South Africa to supply that market and neighboring countries with right-hand drive vehicles. Located about 150 km (90 miles) from the city of Rio de Janeiro, the Resende plant has led a revolution in world vehicle manufacturing by introducing an innovative approach to production management and supplier relations - the Modular Consortium. With this approach to production, suppliers share responsibility with the company for vehicle assembly. The main advantages are increased productivity and quality, and reduced costs. Volkswagen Caminhões e Ônibus’ supplier partners in the plant are Maxion (chassis), Meritor (axles and suspensions), Remon (wheel sets and tires), Carese (painting), Aethra (cab frames), Powertrain (engines) and Continental (cab finishing). 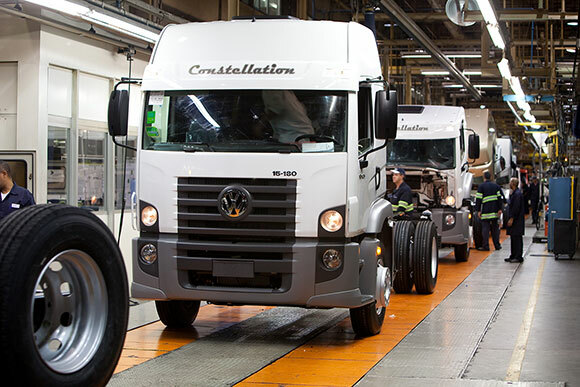 The MAN Truck & Bus plant in Querétaro, Mexico is Volkswagen’s second largest manufacturing plant for trucks and buses in the world. The plant currently assembles the VW Worker 15190, and the VW Constellation 17280 and 24280 trucks and the Volksbus 8150 FEB, 8160 OD, 9150 FEB, 9160 OD, 15190 OD, 17230 OD, 17280 OT and 18330 OT bus chassis. 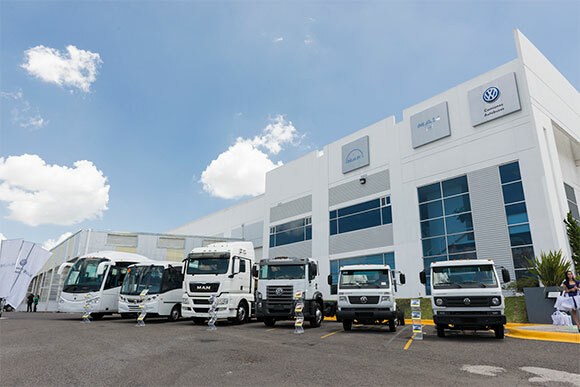 MAN Truck & Bus Mexico also imports and markets the VW Worker 8150, 9150 and the new VW Delivery trucks produced by VW Caminhões e Ônibus in its Resende plant in Brazil and the MAN TGX, TGS and TGM trucks and MAN RR4, RR2 and A69 buses manufactured by VW in Munich, Germany.